Brown laminated hardwood pistol-grip stock. Blued steel receiver and swivel studs. Big-loop finger lever. Side ejection. Hammer block safety. 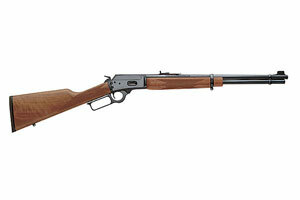 MARLIN 1894 LIMITED .45LC 20"